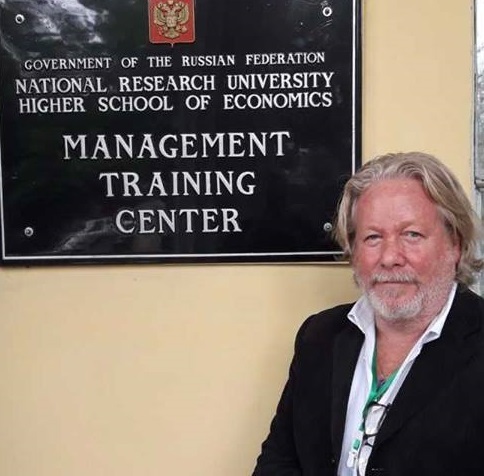 Chris Devonshire-Ellis is the Founding Partner and Chairman of Dezan Shira & Associates, and visiting lecturer at the Russian Higher School of Economics. Dezan Shira & Associates handles foreign direct investment into Asia, has 28 offices across China, India, ASEAN, and Russia, and last year celebrated its 25th anniversary of operations. Over the years, the firm has handled tens of billions of dollars of foreign investment into the region. In this article, he details, by country, what he has learned during 2017, and what 2018 may bring in terms of opportunities. China performed reasonably well in terms of attracting FDI in 2017, despite facing increasing competition from ASEAN as reflected in its growth in outward investment. Much of China’s GDP growth was, in effect, fueled by outbound investment, telling its own story. The Shanghai region continues to be a major driver; some regions are lagging behind, while some are moribund. We have yet to see the development of FDI take off in cities with close proximity to other countries, such as Kunming, Nanning, and Fuzhou, while inland cities, such as Chengdu, Chongqing, and Wuhan are not attracting huge amounts of FDI. This suggests that market penetration for foreign products is tougher, the further inland you go. China will be consistent in 2018, but difficulties remain, and the need for prior investment market research and intelligence gathering is as apparent now as it ever was. Growth in revenues last year amounted to 6 percent. That said, improvements in digitization and the pent up demand by Chinese consumers for e-commerce, equate to plenty of opportunities to sell to the Chinese market online – provided one develops the required Chinese platforms and necessary infrastructure. While North Korea has been taking up the headlines of US Vice-President Pence’s trip to South Korea and Japan, a little noticed meeting is taking place tomorrow in Tokyo that could spark the re-ignition of the Trans-Pacific Partnership agreement that new President Trump ditched almost immediately after coming into office. It is worth remembering that Japanese Prime Minister Shinzo Abe was among the first world leaders to meet with Trump in Miami, and now Vice-President Pence is scheduled to meet with Japanese Finance Minister Taro Aso on Tuesday. 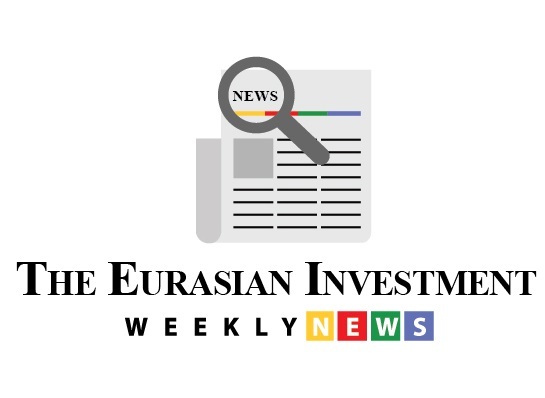 The cash-strapped Mongolian government has reached a deal with the International Monetary Fund (IMF), World Bank, Asian Development Bank, and sovereign nation funds from Japan, South Korea, and China to bail out its stricken economy. A US$5.5 billion bailout has been agreed to, part of which includes a US$440 million loan package. On June 20, 2016, the China Food and Drug Administration (“CFDA”) proposed the “Priority Review Designation Procedure for Medical Devices (Exposure Draft)” in an effort to cut through the persistent bureaucratic red tape in the registration process of medical devices and fulfill China’s rising clinical demand for medical devices. The release of the Exposure Draft came after the State Council’s publishing of the “Opinions on the Reform of Review and Approval System for Drugs and Medical Devices” back in 2015, the focal point of which was the inefficiency of the medical device approval process. In response, the CFDA proposed a new approval mechanism – “Priority Review Designation Procedure” – and drafted the eligibilities, application and opposition procedures, as well as other requirements for joining the special treatment. On June 29, China’s State Administration of Taxation (SAT) issued the “Announcement on the Administration of Related-party Transactions and Contemporaneous Documentation (SAT Announcement  No. 42)”, which introduces a three-tiered documentation framework that will replace its current transfer pricing documentation rules. The Announcement was released following the opinion-seeking draft publicized by the tax bureau in September 2015, and is largely consistent with the BEPS (Base Erosion and Profit Shifting) project launched by the Organization for Economic Cooperation and Development (OECD). Compared to the 2015 Draft – which has been discussed in our previous article – the Announcement revised some terms and further clarified the requirements for reporting companies, as well as the information they need to submit. Below, we provide a brief summary of the key information taken from the Announcement, and offer suggestions for multinational companies seeking to repatriate their profits from China to their headquarters. The Chinese government has issued new dietary guidelines recommended by the country’s Health Ministry, which aim to reduce the country’s meat consumption in half by 2030. China consumes around 30 percent of the world’s meat, including half of its pork, even though average per capita meat consumption is half that of the average American or Australian. The guidelines recommend eating around 40-75 grams of meat per day, closer to recommendations made by the UK Department of Health. Some commentators have pointed out that these guidelines have the potential to be instrumental in reducing the country’s greenhouse gas emissions. Globally, the livestock industry produces 14.5 percent of greenhouse gas emissions, totaling more than that of the global transport sector. If the guidelines are met and China’s meat consumption is reduced by 50 percent, one billion tons of carbon dioxide emissions could be cut. In addition, it would alleviate stress on land and water resources which would be significantly strained if meat consumption continues to increase at the current rate. Late last month, the United States Congress introduced a new bill aimed at stemming the country’s regular flow of electronic waste to China. The U.S. is one of many foreign countries that exports huge amounts of e-waste to the Middle Kingdom – albeit often unintentionally – contributing to the numerous health and environmental problems that such waste creates, and leading to e-waste becoming a source of Chinese counterfeit electronic goods that are fed back into the global market. But China’s status as a dumping ground for the world’s e-waste is only a part of the problem, and increasingly a comparatively smaller one. China has in place a blanket ban on all e-waste imports, and although several loopholes exist that illicit exporters continue to exploit, the country is now producing greater amounts of e-waste domestically. Government programs and general recycling efforts to tackle the issue have proven either ineffective or outright dangerous, raising the question of whether foreign involvement can form a part of China’s e-waste solution. China’s Ministry of Industry and Information Technology (MIIT) recently announced regulations barring foreign investment in the country’s enormous tobacco industry, blocking foreign invested enterprises and individual businesses from participating in tobacco wholesale, retail, and alternative forms of trading. These new restrictions come on the heels of various government efforts to reduce China’s rampant tobacco use, with middling results to date. There are over 320 million smokers in China, making it the world’s largest producer and consumer of tobacco products. While the Middle Kingdom comprises about 20 percent of the world’s population, it is responsible for 45 percent of all cigarettes consumed globally. With an ageing population, a shrinking work force, and an increasingly prosperous society with higher quality of life demands, China faces mounting pressure to look after its people’s well-being – which comes at a significant price. Times Higher Education (THE) released their annual Asia University Rankings today, awarding the National University of Singapore (NUS) the top spot in Asia for the first time since the ranking system was created in 2013. Japan’s foremost institution, the University of Tokyo, has plummeted from top spot in 2015 to seventh in this year’s rankings. Meanwhile, the University of Hong Kong – long considered one of Asia’s premier educational institutions – has fallen out of the top three to fourth place, a first for the prestigious university. Singapore’s Nanyang Technological University and China’s Peking University tied for second place to round out the top three. China’s recently released law to regulate the activities of foreign non-governmental organizations (NGOs) has raised fresh doubts regarding foreign investment into China’s higher education industry. Set to come into effect in January next year, the law contains provisions that will further regulate education institutions with operations in the country and affect the entry strategy of new players looking to enter the market. Powered by China’s economic development and a rapid increase in university student enrollment, there has been a sharp rise in interest from foreign education providers to invest in China since the turn of the century. The industry is potentially hugely profitable, with China’s increasingly affluent population willing to pay more in tuition fees to enroll at foreign education institutions, which are generally seen as more prestigious. However, Sino-foreign education institutions have long been subject to special scrutiny in China, resulting in 70 percent of Sino-foreign education applications being rejected in 2011. The new law is set to further complicate the industry for foreign education providers, raising questions of how foreign investment can effectively be channeled.